Prime Minister Justin Trudeau today apologized in Iqaluit for the federal policy on tuberculosis in the mid-20th century, calling it “colonial” and “purposeful,” and saying the government knew it was taking a toll on Inuit. 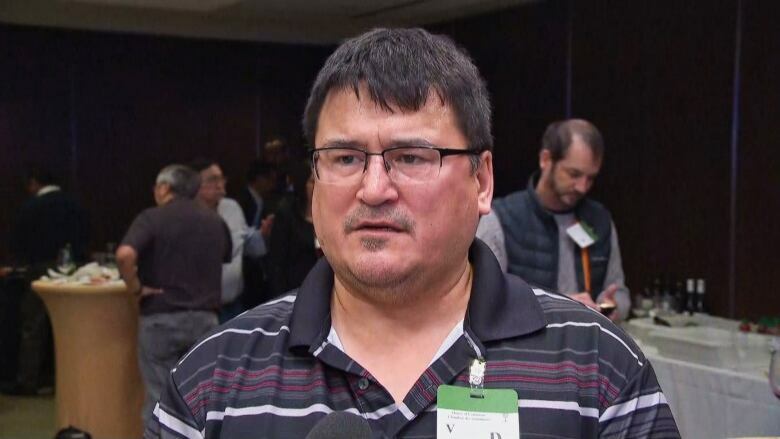 “For too long, the government’s relationship with Inuit was one of double standards, and of unfair, unequal treatment,” he said. His speech in Iqaluit on Friday morning began by recognizing the various injustices Inuit were facing at the same time as the tuberculosis epidemic. These included the government identifying Inuit with numbers — on leather identification tags — instead of by their names, punishing children for speaking their Inuit languages, having their sled dogs teams killed by officials, and moving them away from their homes to assert Canadian sovereignty. “Because of all this — the forced relocation, the residential schools, the TB policy — it happened at the same time, to the same people within just a few decades,” Trudeau said. 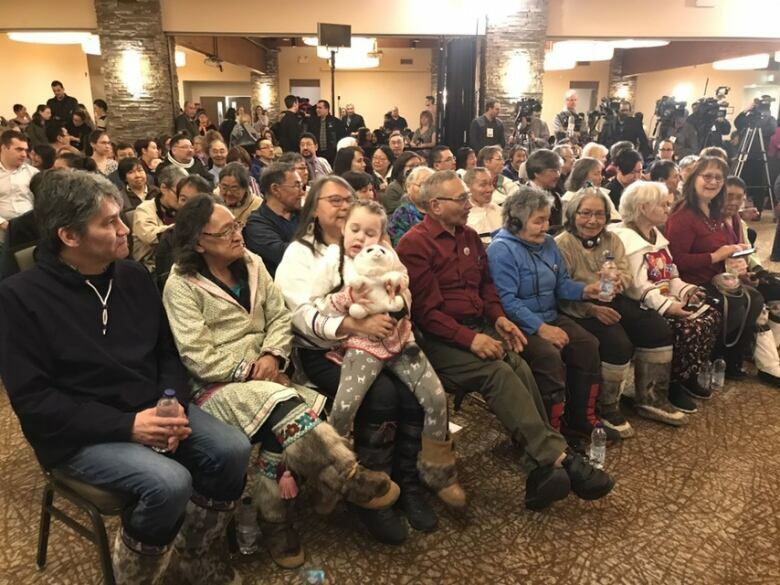 Representatives from the four Inuit regions of Canada that stretch across the Arctic to Labrador have been in Iqaluit for much of the week to hear the apology from the prime minister. Inuit were separated from their family members and taken to Southern Canada for tuberculosis treatment from the 1940s through the ’60s. Many patients lived in sanatoriums for years, and their families often weren’t told about their whereabouts or conditions, even when they died. On Friday, Trudeau spoke at Iqaluit’s Frobisher Inn. Weather delays had forced him to cancel the ceremony Thursday. “We are sorry for forcing you from your families, for not showing you the respect and care you deserved. We are sorry for your pain,” he said. The apology is long overdue, Trudeau said. Formal plans for it were conceived in 2017 as part of the Inuit-Crown partnership signed by Trudeau and Inuit leaders in 2017. “We are sorry that, because we waited, there are many loved ones who never heard this apology,” he said. Part of the apology is the launch of the Nanilavut initiative, a database that will make records available to Inuit to facilitate finding family members’ gravesites. Nanilavut means “let us find them.” Work on collecting the records has been ongoing for almost a decade. “I can’t begin to imagine what it would be like to lose someone you love, and to go on never knowing what happened,” Trudeau said. In his speech, Trudeau promised the federal government will do better. It will provide money to each of the four land-claims organizations, which represent the four Inuit regions of Canada. While there was no dollar figure attached, he said the money will support travel costs for some families who have found where their relatives are buried, and will pay for marking graves and creating plaques. Trudeau also reannounced old money that addresses the current tuberculosis epidemic, which includes discussions on Nunavut’s crippling housing shortage. He said he’s aware past treatment of Inuit could make those living with the disease today wary of seeking treatment. 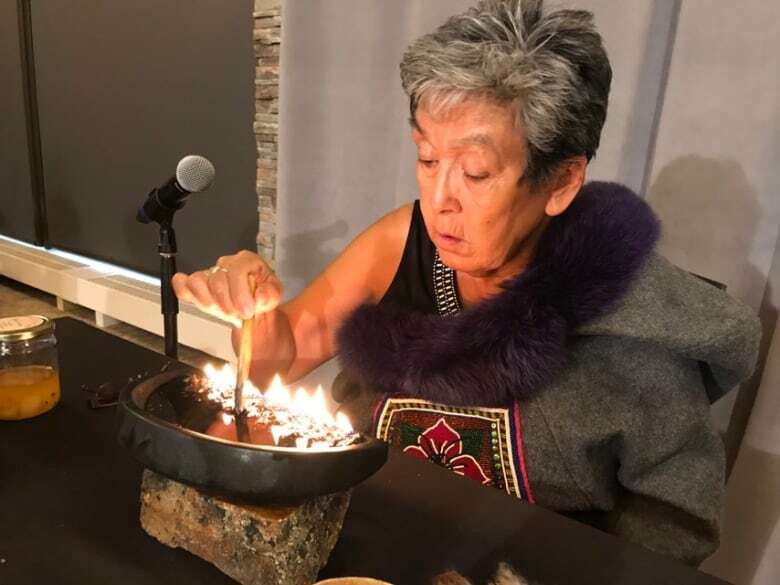 As Friday’s ceremony got underway, Aluki Kotierk, president of Nunavut Tunngavik Incorporated, called it an emotional day, and counsellors were being made available in Iqaluit. “There’s no doubt we are being heard,” she said. Inuit artist Robert Kuptana also spoke prior to Trudeau. What about other Indigenous groups? 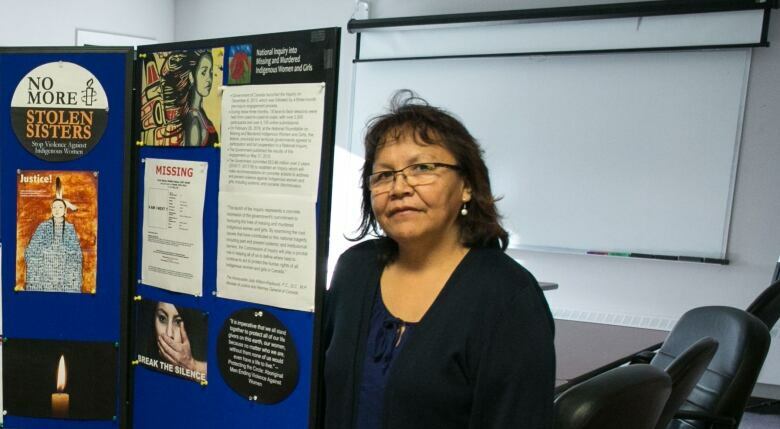 “The Dene people and the Inuit people have all gone through so much and so many types of trauma and abuse from residential school, to day school, to the Indian hospitals where they sent people with TB,” she said. Speakman said her grandfather went to Edmonton in 1962 for tuberculosis treatment when she was five years old, and he died there. She still thinks about the cultural shock he must have endured, without speaking English, and having no one to advocate for him. Speakman thinks people in the Northwest Territories should also get an apology from Canada so they too can have closure for the intergenerational harm. She has asked Liberal MP Michael McLeod if that will be forthcoming. 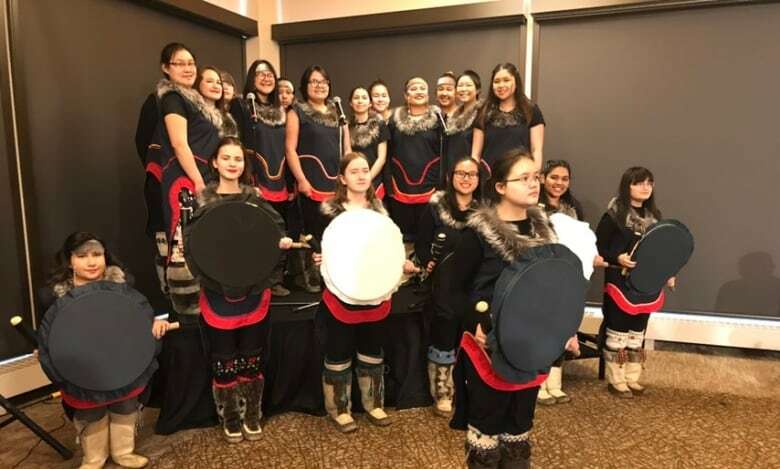 A large number of Inuvialuit in the N.W.T. were affected by the tuberculosis crisis. While he said the apology is “a bit overdue,” it’s appreciated. 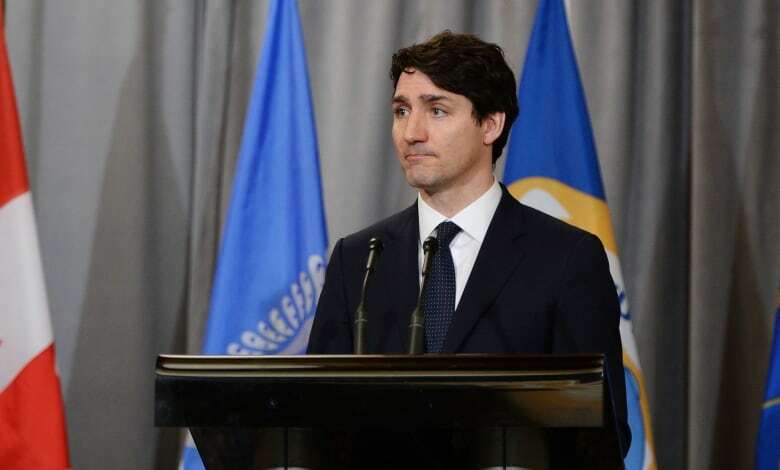 Former patients and immediate family members of people who died in Southern Canada were among those hearing the prime minister deliver the apology. Natan Obed, president of Inuit Tapiriit Kanatami, was at the Frobisher Inn on Thursday night, after the apology was cancelled for the day. He said it will help families start to heal. A representative with Nunavut Tunngavik Inc. estimates there are between 700 and 800 people who never returned home, and whose gravesites remain unknown. Tuberculosis, an airborne disease, can be cured with treatment. The Public Health Agency of Canada says there were 1,796 active cases diagnosed in Canada in 2017. The rate of TB infection is much 290 times higher in Canada’s North than it is in the rest of the country. Kelly Fraser, a Juno-nominated singer from Nunavut, says she hopes the government will provide more adequate housing in the territory, since tuberculosis spreads easily in the territory’s many poorly ventilated, overcrowded homes. She’d also like to see doctors in every community. “I want people to help us heal. There’s no other way to help us heal, we need each other,” Frasher said.